LOST in Rain or Shine’s big Game Two win over Magnolia in the PBA Philippine Cup semifinals was yet another career milestone for two-time MVP James Yap. The veteran wingman moved to No. 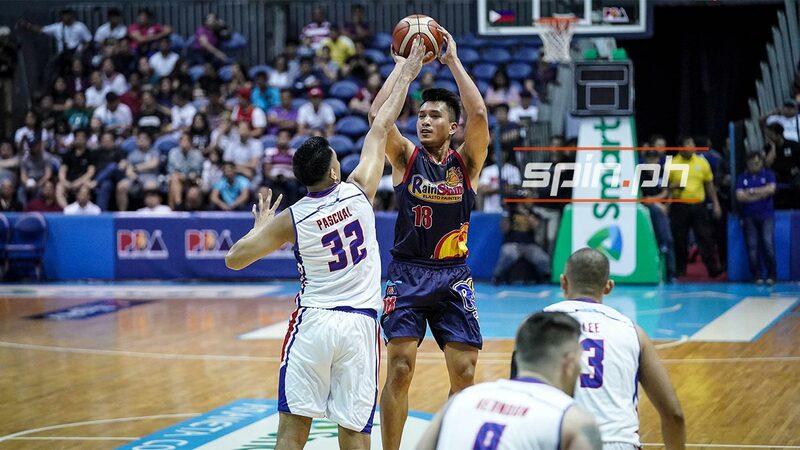 4 in the league’s all-time list for three-points made after drilling two from downtown in the Elasto Painters’ 93-80 rout of his former team on Sunday night at the Smart Araneta Coliseum. Yap finished with eight points and his second three allowed him to surpass retired Dondon Hontiveros on the list with a total of 1,138 treys. It was long in coming as Yap struggled with his shooting early on and didn’t achieve the feat until the fourth quarter. Jimmy Alapag remains the No. 1 overall leader in three-point shots made with a total of 1,250, followed by legendary Allan Caidic (1,242), and Ronnie Magsanoc (1,171). “Hindi ko naman iniisip yung ganitong achievement kusa na lang itong dumarating,” said Yap, who thanked his Rain or Shine teammates, coaches, and fans for supporting him all the way. Even after attaining the honor and Rain or Shine now leading the best-of-seven series against Magnolia, 2-0, Yap knew exactly what to do once he gets to practice on Monday. “Siguro kulang pa ng practice. Kailangan pang mag-practice ng shooting bukas. Kailangan pumunta ng maaga sa practice,” said the 37-year-old wingman.